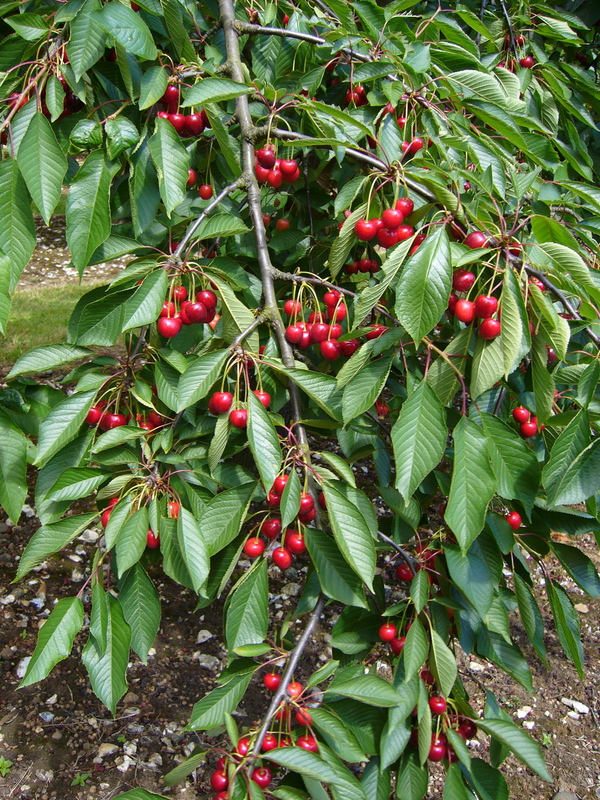 Advice on Growing Cherries in Turkey please? We have recently purchased a seven year old cherry orchard in Turkey. We have some evidence of leaf curl and ? black fly. This month our harvest was poor because we refused to use the local chemical sprays. Can anybody please advise us on organic treatments and when to prune. We are complete novices. 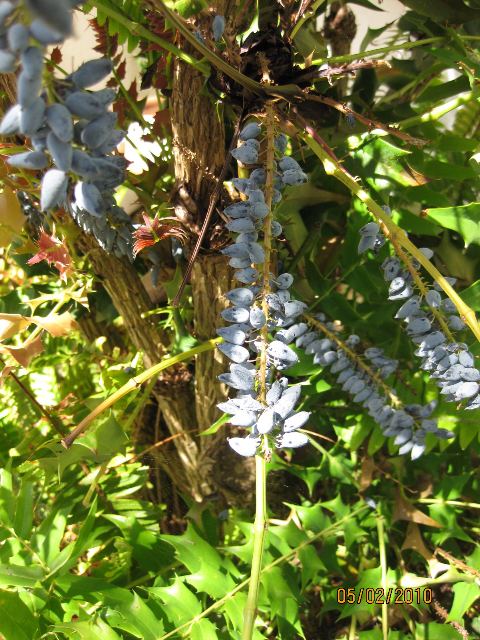 I have a fruit question that no one here in California can answer – are the berries of Berberis (Mahonia lomariifolia) edible? We have two plants. They are very attractive throughout the year with sprays of yellow blooms and prolific clusters of blue berries which are full of juice and flavour. We have sampled a few with no ill effects and I have collected the berries and they are in the freezer. Plenty to make jam. However if they contain any toxins, they might not be good to eat in any concentration. I have checked on the internet and tried many sources including Cornell, UC Davis, Berkeley Botanical Garden, where we bought the last one, but no information. I would like to know if they can be safely eaten in quantity, such as in jam. Definition of an Orchard please? I have a large allotment with over twenty five fruit trees and bushes. I was told that I could register it as an orchard but have no way of finding out on how to do this and if it is true. The trees I have are apple, pear, plum, peach, cherry, apricot, damson, almond and also bushes and plants of blueberry, blackberry, raspberry, fig, kiwi, grape vines, red currant and rhubarb. I look forward to hearing from anybody who has some information for me. 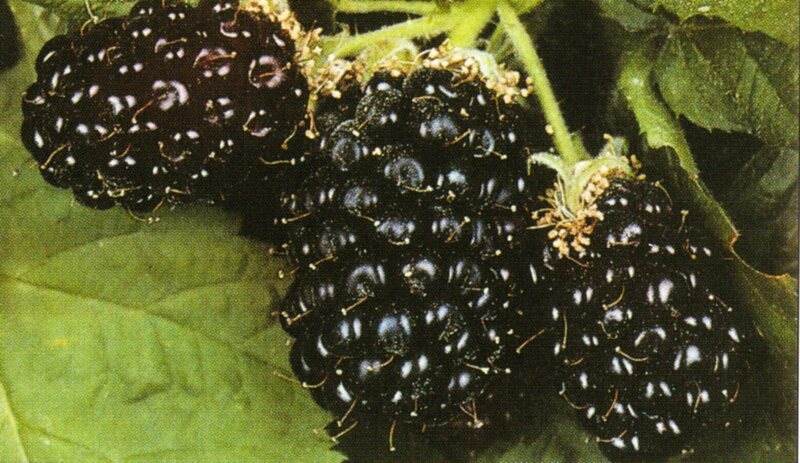 Can any one give me information on the Silvan blackberry? Picture reproduced with permission from R.W. Walpole catalogue, a wholesale soft fruit nursery which will also supply amateurs.